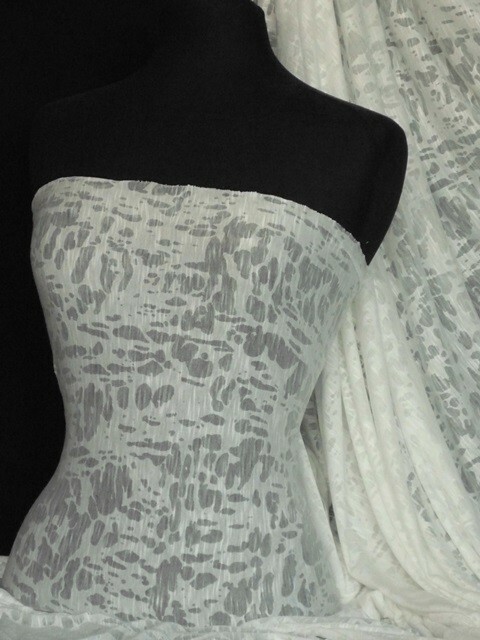 Cloud print stretch natural yarn viscose with excellent drape. Burnout fabric with mechanical stretch on widthwise. Soft texture ringspun viscose jersey material with 70% viscose; 30% polyester.